any specific requirements you have been given from the authority requiring you to have the document notarized (if any). 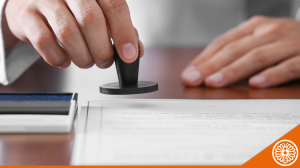 Shall you only need certified true copies from a Notary Public, you can book an appointment here. Not to be confused with notarization, apostille is a simple way to obtain authentication of foreign public documents. Whereas legalization used to be required in order to authenticate a foreign public document, for participating countries and territories of the Hague Convention (Hong Kong is included) you need only obtain a Certificate of Apostille to certify the signatures and/or seal of the issuing authority. Public documents bearing the true signature of an official party such as a Hong Kong SAR Government recognized officer; for example, a Business Registration Certificate, Certificate of Incorporation, Marriage Certificate, etc. Documents signed by a notary public or a Commissioner for Oaths in Hong Kong. 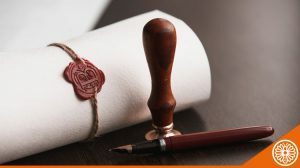 In the case of a notary public this might be a Power of Attorney or a certified true copy, whilst for a Commissioner for Oaths it could be a declaration for example. For apostille, which implies visiting the Hong Kong High Court 2 times, LCCS’ handling fee is HKD1,500. Need to use your document in a country that is not a participant of the Hague Convention (as mentioned above)? You will likely need to have it legalized. Legalization can be administered by the embassy or consulate of the foreign country in which the document will eventually be used. In most cases, notary and/or apostille are required before an embassy or consulate will accept a document for legalization. We can assist but the cost will depend on which embassy or consulate you require the documents to be presented to as they each have different requirements and procedures to follow. Proceed here to get a quote. Documents issued in Hong Kong must be attested by a China Appointed Attesting Officer (CAAO) before they can be legally accepted and used in China. The cost will depend on the type of documents you need attested. Proceed here to get a quote.